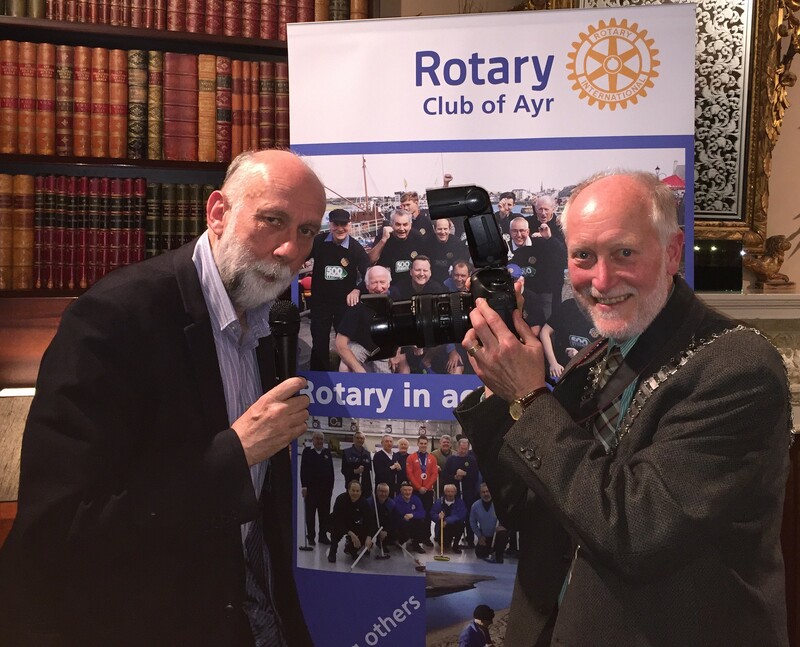 With microphone in hand, Alister treated his large audience of Ayr Rotarians to a personal library of stunning photographs. He explained the rationale behind each one and the techniques used to capture that special shot. For example, at last year’s highly successful Air Show, he was the official photographer and decided to focus more on the spectators than the display, because, said Alister, there have been many pictures taken of the Red Arrows. 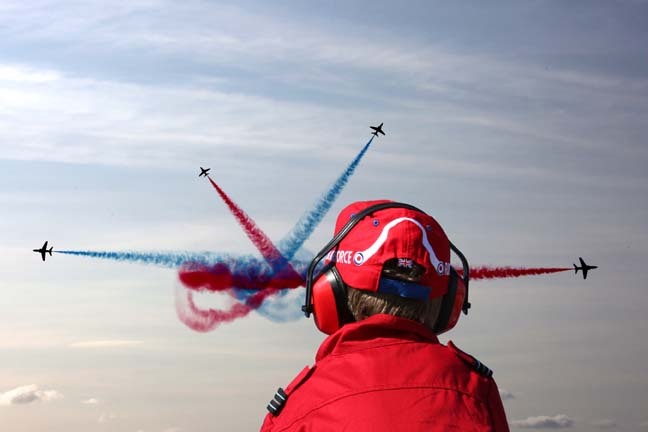 Using his professional eye, he captured the amazing shot of a young boy, dressed in a Red Arrows suit, while enjoying the show. Sometimes, he continued, luck plays a role in achieving that special, appealing snap which may ultimately be taken up by a media network. He mentioned, driving along a rain soaked Ayr Promenade during the Glasgow Fair holidays and chanced upon three ladies from Glasgow who, in spite of the inclement weather, were prepared to enjoy a paddle. Alister seized the opportunity, asked for a photo and secured an iconic shot of the three friends leaping from the sea, wearing raincoats. Many other examples of a skillful eye for the unusual were shown to his eager to learn audience. In conclusion, Alister answered a series of searching and thought provoking questions from the Club members. Muir Austin gave a worthy vote of thanks.